Here is a drawing sent in by my fan, Julie, from Palm Springs, California. Julie, you have captured my boyish charm, my sparkling eyes and my shining smile. I indeed have given you a subject that has elevated your work. Yes, Julie, you are welcome. This entry was posted on Wednesday, May 27th, 2009 at 9:56 amand is filed under . You can follow any responses to this entry through the RSS 2.0 feed. You can leave a response, or trackback from your own site. 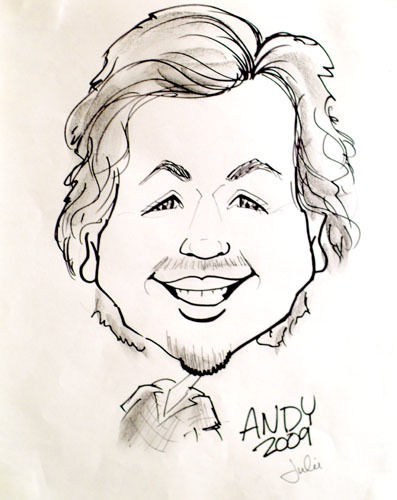 Too much facial hair, but yes Julie, you indeed captured Andy well.